(Premium): INR 45999 - Reporting at Pune Pune to Mumbai Airport drop. Welcome to Dubai - One of the most unique, vibrant and ultra modern destinations in the world! 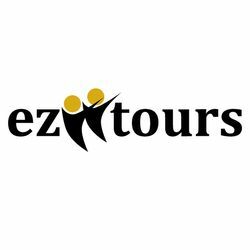 You will be greeted by EziiTours representative on arrival to Dubai and will proceed to go to your hotel. After a yummy breakfast in the morning on day two we set out for a city tour of the city of Dubai. Here you will experience the vibrant cosmopolitan life along with a few historic sites in Dubai. The tour then continues to Jumeirah - the palace and the residential area which is also home to the Jumeirah mosque and after that to Al Bastakiya.Later you get to wander through the glorious spice souks and gold souks where you can shop till you drop. Watching the sun set down in the desert is another unique experience. You can enjoy the camel rides or a sheesha and then feast on a BBQ dinner followed by belly dancing on the beats of arabic music that will scintillate your senses. Drop to the hotel and overnight stay in hotel.